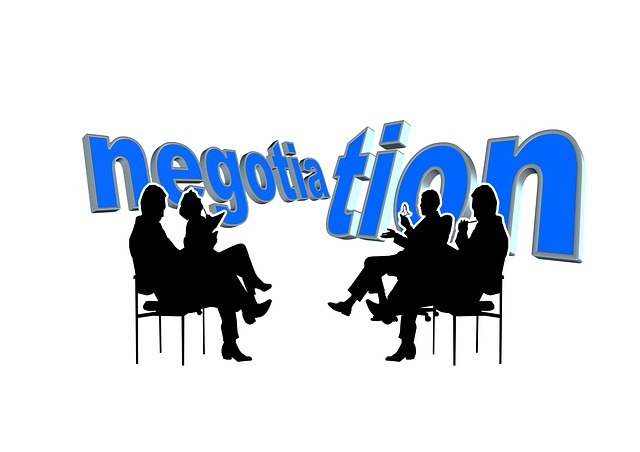 The give and take required for successful negotiation stymies the stubborn. In this Tough Things First podcast, Ray Zinn and guest host Rob Artigo discuss fundamentals of negotiating and how to be successful even when you aren’t getting everything you want. Rob Artigo: Welcome back everyone to another edition of the Tough Things First podcast. I’m your guest host, Rob Artigo, I’m a writer and entrepreneur in California. Hi Ray. Ray Zinn: Hey Rob. So good to be with you this morning. Rob Artigo: I have a good question here and I think lots of people will be able to relate to it because we’ve been hearing a lot about the idea of negotiating on a national level. Donald Trump, as you know, penned a famous book called The Art of the Deal and it has been discussed a lot frequently because of the context of the negotiations with Congress to get border wall funding. Some have said that there are failures built into this that show that Donald Trump isn’t such a great negotiator after all, so as an outside observer Ray, would you agree with that? I mean just based on what you’ve seen? Ray Zinn: I think negotiations are really a tough subject and it depends again what we’re negotiating on and how important it is to a particular individual. If for example you’re negotiating with your spouse about where you are gonna go to eat and you don’t care, then it’s not a very difficult task but if where you go to eat is extremely important and depending upon the setting and depending upon the cost, depending upon the kind of cuisine, it can be kinda heated and debated. It’s not something as simple. When we talk about negotiating, we don’t necessarily put it all in one bucket. It all depends again upon the motivation of the individuals. In the case of President Trump and negotiating with regard to whether we do a government shutdown or whether they fund his border wall is a matter of principle and so if the one side says, “We don’t want him to have that little feather in his cap that says that he got that border wall built,” then they’re gonna resist and they’re willing to throw the baby into the fire to prove their point. Then of course President Trump on the other hand is gonna stand rigid and say, “Hey, you want to put all these people out of work? You guys go right ahead.” It depends upon what each side feels they have to lose. Rob Artigo: Ray, isn’t it like the idea of the stakes are different, and I love this idea of talking about Congress and the president negotiating over the wall because metaphorically you could really place this on top of other issues, whether it’s business or personal like you said, even just deciding with your wife what place you’re gonna go eat, but the idea of stakes and what struck me there, what you were just saying is that in the context of this negotiation, you may find one side, the stakes aren’t the wall for both sides. The stake for Congress appears to be whether or not Donald Trump gets a “victory” and gets what he wants so if they’re trying to avoid that, if they’re trying to avoid Donald Trump getting a “victory” here, then that’s different than Donald Trump’s intent. His goal, the stakes for him is he wants to get the border wall done. Ray Zinn: I mean, it’s a matter of victory again. He’s promised his constituents that he would build a wall during his administration. It’s a victory for him and it’s a victory for the other side if they can prevent him from doing it because they’re showing their power. Let’s see who’s really got the power and so it’s all about fighting. A negotiation is somewhat of a fight. If there’s no contest, then there’s no fight. If there’s a point to be made, then all hands on deck, they’re gonna try to make their point. Let’s be factual about this, the Congress does not love the president at all, at least the current Congress does not love president, and the president really doesn’t care for them either. He wants to drain the swamp, calling them swamp monsters is not going to sit well with them. When you go into negotiation, if both sides hate each other, negotiations aren’t gonna go very well. The first thing that we have to think about when we’re negotiating is what kind of … Where do we stand with regard to the individuals we’re negotiating with? Whether it be a teacher strike or whether it be a particular direction we want to head the company, if there’s a team effort, in other words, if we’re trying to negotiate the best outcome and the team basically like each other, then negotiations go relatively smooth. There’s compromises that will have to be made, but it will be a rather smooth transition whereas if there’s animosity and if there’s hard feelings, negotiating is not gonna go well, period. The best way if there is animosity, if there is hard feelings between two parties or multiple parties, then what we have to do is figure out what kind of compromise can be made where both parties walk away smiling. In other words, there’s give and take. I think we saw a little bit of this recently when the bill was put before the president to sign that Congress passed, Congress and the Senate passed for overcoming the government shutdown and then they gave him 1.4 billion for the wall. They didn’t give him much for the wall, but they avoided a government shutdown, another government shutdown. That was a compromise, so if you remember, the Democrats or Nancy Pelosi said we’re not gonna even give him a dollar. They gave him more than a dollar, they gave him 1.4 billion dollars. He got something, he just didn’t get what he wanted so they declared the victory, the Congress says, “Okay, we were victorious because he didn’t get what he wanted, he didn’t get five point whatever billion for his wall,” and we also avoided a government shutdown. Trump says, “Well, they gave me more than a dollar,” and so he declared victory and avoided a government shutdown. That’s kind of the way compromises are done. Both parties take a victory lap and smile. They may not get exactly what they want but in any negotiation, I don’t know if anybody gets exactly what they want, whether you’re buying a car or whether you’re buying a home or you’re sitting on negotiating a price and both sides are trying to get the best deal for them. You’re never going to get everything you want. When you go into negotiation, the first thing you must ask yourself is where do I draw the line? In other words, how far am I willing to go and we all do that. We all say I’m not gonna pay any more than this or I’m not gonna accept any more than that and so they’ve already set their bottom line and then they try to work towards something where both of them end up not having to cross their bottom line. That’s the key to negotiating. You go in with the idea of a resolution. If you’re going into a negotiation [inaudible 00:08:59] we don’t want a resolution, then just walk away. Just don’t even go any further. If a resolution is being sought, a true resolution is being sought, and your bottom line, you’ve accepted, in the instance here of President Trump, he said, “I’m gonna get more than a dollar.” That’s kinda what he told himself. “If I can’t get more than a dollar, we’re gonna shut the government down.” The other side says, “Well, as long as we don’t fund anything anybody could say was an appreciable amount of what Donald Trump is asking for, then we can take a victory lap because we avoided a government shutdown and at least he didn’t get all of his money to do what he wants.” They changed the name from wall to fence and some other ridiculous things, and that’s how stupid negotiations actually get sometimes. They actually get that way, where people act stupid and silly. That’s unfortunately the way compromise works sometimes is that you make silly compromises. Rob Artigo: I guess from what I’m hearing you say and then the example of Congress and the president is that it was important, it was more important to break the logjam or the impasse that they were facing than to get the perfect deal on either side. Ray Zinn: They were avoiding a government shutdown is what they were avoiding. They said, “Okay, what can we do to avoid a government shutdown? Well, we gotta give Donald Trump more than a dollar,” and Donald Trump says, “I’ve gotta get enough to say that I can at least build something of a wall, 58 miles,” and so that’s what they did. In the back of his pocket, he’s been saying this for some time, that he’s just gonna invoke a presidential … Make a presidential decision and declare an emergency. He always had in the back of his pocket and he knew he wasn’t gonna get five plus billion because the other side would have lost. In other words, they would not have been able to take a victory lap. He’s been gearing up to do this emergency declaration. That’s kinda what’s happened and that’s what we do in negotiating. We make compromises and move forward. Rob Artigo: As always, you can reach out to Ray Zinn with your questions at ToughThingsFirst.com. Continue your education in this conversation with all the podcasts, Ray’s blogs, links to the information about the book Tough Things First and Ray’s new book, The Zen of Zinn, a collection of writings on interrelated topics of entrepreneurship, leadership, management, discipline, determination, society, people, and life, that’s The Zen of Zinn. Thanks again Ray. Ray Zinn: Hey thanks Rob. It’s always fun to talk with you.